Looks like I figured correctly when I earlier predicted that the vast majority of those overpriced eBay Howard items would remain unsold. Almost every one of the auctions ended without a single bid, even while lots of other people listed items at low starting prices and had them bidded up into the correct ballpark. Out of the dozens of auction winners in the past few days, the only one that qualifies as a sucker bought two of Van Hise’s chapbooks for at least double what he would have paid anywhere else. I guess if you’re real lazy, real dumb, or real loaded you don’t care what you pay, but it’s embarrassing nonetheless. Give us penguins Who Know Too Much (consult Chaosium’s 1996 The Antarktos Cycle for details), red-eyed and raucous-voiced witnesses to the cosmic tragedies and iniquities that have unfolded on the austral icecap for the last few million years. Children of all ages need nightmares and today’s animators just aren’t getting the job done. 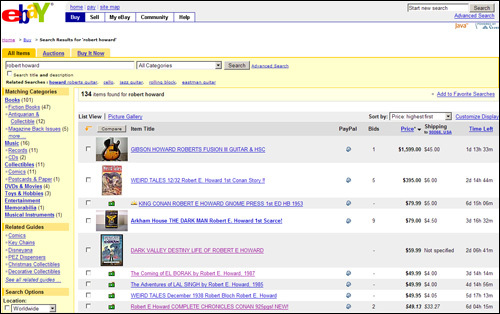 In a previous posting, eBay madness, I noted some of the Howard items being hawked for ridiculous prices at that site. Apparently I spoke too soon. Has there ever been a time when there was such a magnificent variety of Howard items on eBay, and at such absurdly bloated prices? Grant Conans for $200 a pop when they are easily available elsewhere at $20? Bob Price booklets for up to $100, not as a hotly contested bid but as a minimum starting price? A freaking REH Days postcard that is widely available for fifty cents each June being offered by James Van Hise for a “Buy It Now” price of $20? This is outrageous. And the weirdest thing is that all of this stuff has hit within the last week or so, and from a wide variety of different sellers. If one dealer had tried to game the market in this way, that’s one thing. But with so many items listed from multiple sellers, it makes you wonder what is happening. Did the World Fantasy Convention somehow convince dealers that there is a large Howard market out there, a market they were previously unaware of? Is there just a centennial swell at play? Whatever it is, it’s damn strange. Browsing through the list one can see the Grant Conans, the Gnome Conans, assorted pulps, the Bob Price booklets, assorted REHupas, Howard Collectors, the Baen paperbacks, Jonathan Bacon’s old Fantasy Crossroads, all the early Dark Man issues, all three issues of Cromlech, foreign fanzines signed by Glenn Lord, Amras, Lone Star Fictioneers, an Always Comes Evening for a flat $1500, a 1937 Weird Tales for $275. It’s also amazing how many items are listed at set prices, with the dealers refusing to let them be auctioned so that the market could naturally determine the highest bid. I guess it’s just possible that collectible prices for REH are actually going through the roof, but I think it’s much more likely that these dealers are fishing for suckers, and most of these items will never sell at such ludicrous prices. That’s the reason the dealers have them locked down with high “Buy It Now” prices rather than auction them, because they are fairly sure they would never get these amounts in an open market. I’m not a collector (thank God), but if I was I would forget about this forum and do my searching at abebooks or addall, where prices are reasonable and fairly competitive. Looking at all of this sitting out there blows me away. I’m really interested to see how much of it sells. Wow. Thanksgiving! Baked turkey, with dressing made of biscuit and cornbread crumbs, sage, onions, eggs, celery salt and what not; hot biscuits and fresh butter yellow as gold; rich gravy; fruit cakes containing citron, candied pineapple and cherries, currents, raisins, dates, spices, pecans, almonds, walnuts; pea salad; pumpkin pie, apple pie, mince pie with pecans; rich creamy milk, chocolate, or tea — my Southern ancestors were quite correct in adopting the old New England holiday. I hope you had as enjoyable a Thanksgiving this year as I did. I don’t know when I enjoyed a holiday more. That’s Robert E. Howard, writing to H. P. Lovecraft in December of 1932. In some ways, he didn’t have much to be thankful for. The Depression had hit hard, several of his reliable markets had stopped publishing, and his life’s savings was lost when the Cross Plains banks failed. But he still had his friends, and the joys of football games and boxing matches, and the serene and comforting cornucopia of riches and memories that is a Thanksgiving dinner with loved ones. we helped him unload a bunch of steers, in order to facilitate an early arrival at the game. They were the finest, fattest, big Hereford critters I’ve seen in a longest time; and one of them was the meanest and wildest I ever saw. The three of us fought him all over the hill, and after we got him in the corral, we couldn’t get the ropes off. We had two ropes on him, or he’d have killed some of us. When he’d plunge at one of us, the other would haul him back, and so on. As it was both of us had some narrow shaves. We finally got one lasso off his horns, but to save our necks, we couldn’t get the other off. We had him hauled against the corral fence, and every time we slacked the rope, he took every inch of it, and tried to murder us. At last I threw a doubled lariat around his huge neck and snubbed his head down against the fence, and held him there while the rope was cast off his horns. Then it was every man for himself! Always the big fullback was in the midst of the battle, fighting with every ounce of his iron frame and ferocious spirit. Then toward the last of the game, something happened. I don’t know what it was. I was watching the ball, when a yell went up, and we saw the big Indian down. His leg was hurt. They carried him off the field and laid him on the sidelines, where they began working over his injury. A big German lad was sent in in his place. He was good, but he was not Hoot Masur. Southwestern began an implacable drive. They marched irresistibly down the field, fighting for every inch. At last, on the sidelines, the injured player rose, with the aid of his companions. He began to limp up and down the lines, leaning heavily on a team-mate. Doggedly he plodded, half-dragging his injured member, his heavy jaw set stoically. Out on the field his team-mates, crippled by his loss, were being pushed slowly back toward their own goal. The fullback let go of his supporter, and walked alone, limping deeply, moving slowly. From time to time he worked at the injured leg, stooping, flexing, trying to bend his knee. Then he would resume his endless plodding. I forgot to watch the game in the fascination of watching that grim pathetic figure toiling along the sidelines — up and down — up and down. The sun was sinking, and the long shadow of the grandstands fell across the field. In that shadow the fullback plodded. Once, somewhere, I saw an old German print or woodcutting, depicting a woodcutter in a peaked hood carrying a bundle of sticks through the Black Forest. 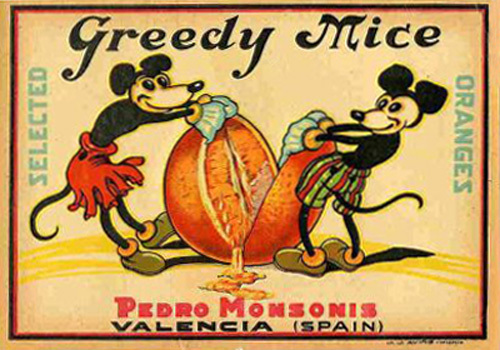 I was irresistibly reminded of this print. The peaked hood was there, even, the peaked hood of a grey sweater-like garment worn by football players when not in the game. There were the same massive shoulders, made abnormally broad by the bulge of the shoulder-pads beneath the sweater; the same slouching, forward bending pace. The shadows of the forest were to an extent repeated in the shadows of the grandstand. Only the bundle of sticks was missing, but the figure etched in the shadow stooped and toiled as if it bore the weight of a world on its shoulders. There was tragedy in the sight; he was eating his heart out because he was not back in the game, stopping those merciless onsets, giving freely of his thews and heart and blood, eating up punishment that would have snapped the bones of a lesser man. There was nothing of the story-book sob-stuff about the business. 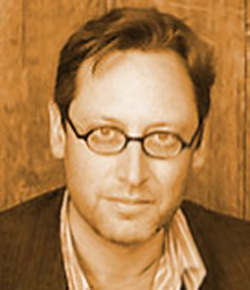 But to me, at least, there was a savage pathos in the sight of that grim, mighty figure plodding up and down the lines, striving vainly to work his bitterly injured leg back into shape, so he could re-enter the game. At last, when his captainless team was making its last stand, with its back to the wall, he sank down on the naked ground and covered his eyes with his hands. He would not watch the defeat of his mates. But that defeat did not come. Fighting like madmen, they broke up the attack just half a foot from the goal-line. The final score: Howard Payne 6, Southwestern 0. The fullback’s touchdown in the first quarter was the only score. As the grandstands emptied and people rushed down onto the field to congratulate the winners, I saw him limping slowly through the throng, toward his teammates. Drama? You will see it on the football field, raw and real and naked, unaided by footlights, stage settings, or orchestras. After the game it was time to repair to a local restaurant for a second gargantuan meal, a repast of “roast turkey and oyster dressing and ice cream” gorged while watching “the shirt-tail parade and the other antics of the celebrating collegians.” In 1932 Howard was but twenty-six, still only a few years removed from his time at Howard Payne and from his wayward youth. He was young, and he was with friends, and he had both watched and participated in a day chock full of hard work and brutal masculine struggle against nature and implacable foes. He had fought and he had feasted, in much the same way his new hero Conan was about to begin doing in the pages of Weird Tales for the very first time a scant few weeks later. Howard finished the most enjoyable holiday in his memory by driving home with Lindsey “through the forty miles of hill country, through one of those still, clear, crisp star-filled nights that you enjoy only during good football weather. Simple and unsophisticated enjoyment, yet somehow I got more kick out of the whole affair than I’ve gotten out of more expensive and less innocent pleasures. We didn’t even take a drink of liquor.” After all, what use is liquor on a day punch-drunk with the mead of Life? 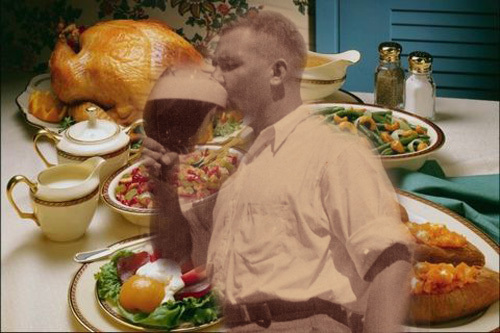 On that Thanksgiving Howard had received a stirring confirmation of the way he viewed the world, a 50-yard-line view of the best and worst that existence had to offer. In his description of that day we see the writer’s mind at work, simmering with the dreams and thoughts that fueled his fiction. Later in that same letter to Lovecraft Howard proclaims: “By God, I demand freedom for myself. And if I can’t have it, I’d rather be dead.” Over the next four years he would make good on this promise as his certainties about Life began to unravel and spiral into the abyss. But on Thanksgiving of 1932 the spirit of Robert E. Howard was free, and shone with a brilliance that melted away both the shadows of the Great Depression and the dark mantle of the depression that was all his own. In the end, Life isn’t about freedom from struggle or tragedy or despair, it’s about what you do in the face of it. Whether it’s a dwindling group of battered pilgrims giving thanks to God, or a battered Indian fullback holding his head in his hands as his team wins, or a battered writer seeing in everything around him the seeds of his life’s work, drunk with the sheer humanity of it all. We all undergo great hardships in this world, but occasionally a day or a moment appears like an oasis, reminding us of all that is good and free. More than any other day, Thanksgiving conjures such feelings within us. We can read Howard’s thoughts seventy-four years later and share in his exultation, in the process reminding ourselves of the good in our own lives. Family, friends, passions, luck. Different draughts for each of us, but all drawn from the same sweet well. At the end of film critic Kenneth Turan’s new book Now In Theaters Everywhere: A Celebration of a Certain Kind of Blockbuster, he includes his 1979 essay “Behind the Scenes: Conan the Barbarian” which might be of interest to fans of Howard and of that film. A recent Los Angeles Times book review by Tara Ison calls that particular essay “a wonderful look at the origins and development of a then-high-risk film project” but adds that “the story ends, disappointingly, in pre-production” rather than also describing the shooting of the film. Still, if you are a fan of that movie, you may want to hunt it down. OK, so perhaps you’ve heard some of the rumors swirling around Cross Plains Universe, the book that contains a variety of fictional tributes to REH written by various Texan writers, and which was given away to everyone at the World Fantasy Convention a few weeks ago. The book itself was a success, hammering home to convention-goers — many of whom knew little about Howard — the importance of both his achievement and his status as theme of the convention. And as stated in a previous post, the book is already selling on eBay for twice its cover price, mere days after its first appearance. All in all, a pretty good burst of publicity for Howard. Not bad. But those of us who attended the convention were surprised when, during the Con, we heard a lot of grumbling about the various hoops and gauntlets the book’s producers were allegedly made to jump through by Paradox’s legal team at the last minute. Without rehashing the complaints we heard, the sum total of the various gripes was to make Paradox out to be a boogeyman stomping over the spirit of the project in a fit of paranoia over their properties and copyrights. More than a few Howard fans walked away from those conversations wondering if this boded ill for future projects, and for relations with the new owners of Howard’s work. Was the honeymoon over? 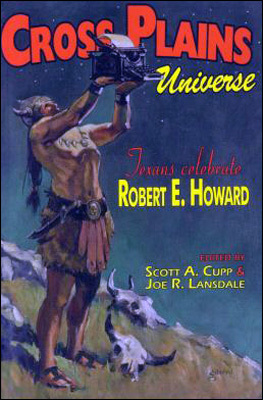 As the Licensing Manager at Paradox Entertainment, I worked closely with the editor Scott Cupp on producing the Robert E. Howard tribute book titled Cross Plains Universe that was generously distributed at the World Fantasy Convention. Our dealings included a licensing contract and approvals process for the book in full — including proper legal text and copyright. As rights holders and REH fans ourselves here at Paradox, we were thrilled about the book and pleased with its outcome and contents. Shortly after the World Fantasy Convention, we began to hear rumblings of negative rumors surrounding the production of the book. Saddened and surprised by the complete untruths that we heard, I contacted Scott Cupp to find out where these rumors surfaced and asked for his version of events in writing (see below). I hope this will continue to confirm that — as the new estate owners of the REH library — we are committed to our fans, dedicated to putting out a good product, professional, and pleasant with which to work. My name is Scott Cupp and I am the co-editor with Joe Lansdale of Cross Plains Universe: Texans Celebrate Robert E. Howard, an original anthology produced by FACT/Monkeybrain Books for the World Fantasy Convention held in Austin, TX in November 2006. It has come to my attention that there are many rumors swirling throughout the field regarding the role of Paradox Entertainment with regards to this book. I wish to set the record straight on several points. I was the major contact point for Paradox as Joe was out of the country. All dealings with Paradox went through me. 1) Paradox Entertainment and Robert E. Howard Enterprises were supportive of the project throughout its genesis and were excited about the prospect of the book introducing REH to people not fully aware of the impact of his work. 2) When presented with the manuscripts to the story (at a time late in the production — my fault — not theirs) they requested some changes to certain stories. These changes generally involved the removal or changing of some copyrighted names, places or objects. In two cases, a very slight rewrite of a passage was involved. 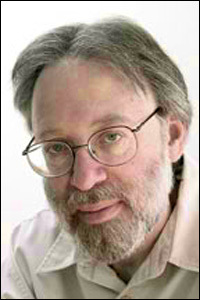 In every case, the change did not materially impact the story and was worked out with the writer of the piece. The reason for these changes relates to American copyright laws. Remember that the copyrights to all characters except Conan had recently been acquired. The use of certain things without specific challenge could result in the loss of copyright to these characters. These requests were made with that information in mind and I was very aware of that issue. The number of changes required were minimal for each individual story. I have heard the number “200” bandied about. There is no way that this number is accurate. Not all stories were involved, but those which were generally required under five corrections. The Bill Crider/Charlotte Laughlin piece required a few more as the name of the artifact which was changed is mentioned multiple times. 3) Changes were made at the last minute because I did not get them a manuscript to review until the copyedited version was made available to me. Because of the tight timeframes involved in this project, there was a great deal of stress and rushing about to get it completed. The invitation letters were sent out in January and the finished book appeared at the end of October — super fast for this type of project. 4) The people I dealt with at Paradox were Leigh Stone, Thommy Wojciechowski, and Fredrik Malmberg. They were always courteous in their dealings with me and I handled these phone conversations as business meetings. The discussions were respectful and mutually amicable. Other than the stress of having a short deadline (again, brought about by myself), we had a pleasant relationship and I would gladly work with them again in the future. If anyone wishes to discuss these issues further, please contact me at scottcupp@earthlink.net. In light of all this, it sounds as if any problems some people had with the project amounted to miscommunication combined with the usual pressures and messy compromising at play whenever a book needs to be rushed out to meet a deadline. Now mind you, the stories we heard at the con were detailed and convincing — some of the requested changes sounded ridiculous to us assembled fans, and when Scott says here “the use of certain things without specific challenge could result in loss of copyright,” one immediately wonders why a simple contract couldn’t be drawn up granting the one-time-only use of such terms. But all of that is water under the bridge at this point, and none of my business to boot. The fact is, when you think back over the last year, Paradox’s record regarding its treatment of Howard and his fans is impressive. Again and again we find them going above and beyond to do things for Howard’s legacy that most other companies — the pre-Paradox, 1980s Conan Properties, anyone? — would scoff at. The two head honchos at Paradox, Peter Sederowsky and Fredrik Malmberg, attended Howard Days last June just to touch base with Howard’s staunchest fans, listen to their concerns, and keep them in the loop. Licensing Manager Leigh Stone attended the World Fantasy Convention and made the long bus trek to Cross Plains and the Howard Museum. Stone and Thommy Wojciechowski have attended cons and spoken on panels to get the word out about Howard, including at GenCon where they have masterminded a yearly Robert E. Howard Day set to start in 2007. Since Paradox has acquired the Howard copyrights there has been lots of movement on the movie, video game, comic, role-playing, and collectible fronts. And the new REH Foundation created by Paradox is set to release lots of original Howard that fans have been begging for since the 1970s, things like the Complete Letters of REH and the unpublished poetry. If this is grumble-worthy, give me more of it. MARK ADDS: I’ll second Leo’s sentiment above. Paradox has been nothing if not extremely cooperative with both the fans and the pros. I had a specific situation of my own in the CP Universe book, one involving a character I am actively writing. Two quick emails later, everything was smoothed over, proper copyrights were assigned, and all were happy. At no time was it ever a problem. Everyone at Paradox has my full trust and support. Apropos to my last post is news that Cross Plains Universe, the book of Howardian-themed stories written by Texans and given away at the World Fantasy Convention, has become a hot item on eBay, with each copy offered being sold for $35-$40. For those of you who want a copy, especially one signed by many of the writers who attended the con, keep your eyes peeled. One copy was recently offered with a “Buy It Now” price of $25, and someone snapped it up right away. Those of you who read The Cimmerian will be privy to a behind the scenes story in November about how the book almost was derailed at the last minute by Paradox Entertainment lawyers on the warpath. All week at the convention I heard various stories about the incident, and it soured a lot of people on Paradox’s stewardship of the Howard legacy. With luck it was a one-time faux pas, and in the future the newly formed REH foundation will help to prevent such things from happening. UPDATE: Paradox’s Licensing Manager Leigh Stone writes in to say that the sundry stories floating around the con about the production of the book were “entirely untrue,” while Rusty Burke assures me that Paradox “bent over backwards” to help with the book and hence have been unfairly mis-characterized as bad guys in this scenario. This flatly contradicts the numerous anecdotes we all heard at the con, so I’ll be sure to include the Paradox/REH Foundation side of things in the TC trip report as well. UPDATE #2: The WFC people have announced that they have extra copies of this book, which can be had for $19 here. Of course, if you want the signed copies, you’ll still have to haunt eBay. Lately I have noticed that various sellers on eBay have been posting certain Howard items for absolutely ridiculous prices. Right now there is a copy of Dark Valley Destiny, signed by both de Camps (as most copies out there are) but not even in a slipcase, being offered for the laughable price of $60. With a little searching one could probably find a better copy with slipcase for $20 max, and probably a lot less. Meanwhile, last week someone was trying to sell individual Don Grant Conan books for $200 per copy. When you consider all the things that series has going against it — incomplete, terrible art, lots of editorial mistakes and emendations — the true silliness of such a price sinks in. The books are not even that rare. Needless to say, he didn’t sell any of them. At the World Fantasy Convention, the dealers were fairly well stocked in Howard materials, everything from the latest hardcovers, trades, and paperbacks to all of the old books, fanzines, and ephemera, even some REHupa mailings. But there too I noticed that the prices in almost all cases were prohibitive. Paperbacks that usually sell for $5 or so online were listed at $15 or even $20 per copy. I did notice one discrepancy, though: there were two copies of Heroes from Bear Creek from one dealer, and each was listed at only $20, far below the $50-$100 it usually sells for on eBay these days. It seems that with the resurgence in interest in Howard and the thrill of the centennial, some of the more craven collectors and speculators are testing the market by dangling items out there at high prices and seeing if anyone bites. I like to see Howard collectibles move up in price as a sign of his increased viability and popular interest, but it’s an organic process connected to rarity of the item and contents, print runs, quality, etc. There’s a difference between good Howard collectors and suckers, and the sellers on eBay are slowly learning the difference. It’ll be interesting to see how long the prices on some of this stuff remain inflated before people get real again. Eventually they will return to the tried and true method of starting them at a low price and then letting the auction process work its magic, instead of placing stuff out there with outsized reserve and “Buy It Now” prices. 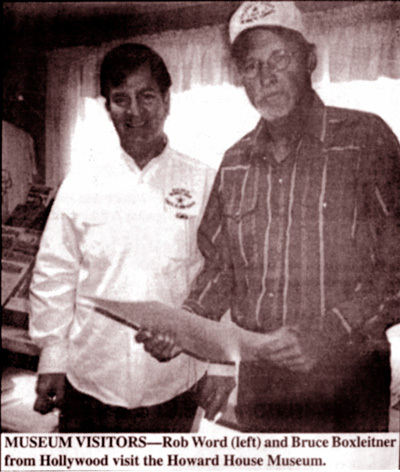 In the October 26, 2006 number of the Cross Plains Review, there was an article about some recent visitors to the Howard Museum. At that time the World Fantasy Convention group hadn’t pulled into town yet, but the ladies of Project Pride had some exciting guests nonetheless. The article carried no byline, but unless I miss my guess the author must have been Cimmerian contributor Arlene Stephenson. 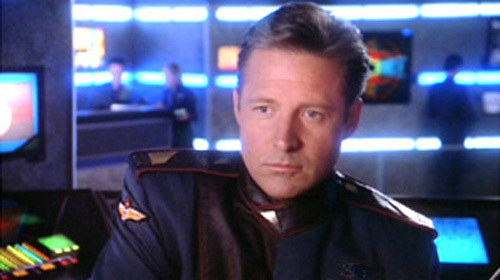 Boxleitner has played in numerous made for TV movies and is currently in the TV series, “Pandemic”. Some may remember him in the series “Scarecrow and Mrs. King” of some years back. One of his real ties to the weekend, however, was perhaps the fact that Dean Smith had played his stunt double in “How the West Was Won.” Boxleitner is married to Melissa Gilbert of the “Little House on the Prairie” fame. Another visitor drove from Florida just to visit the Museum and to attend a pulp fiction convention in the state. 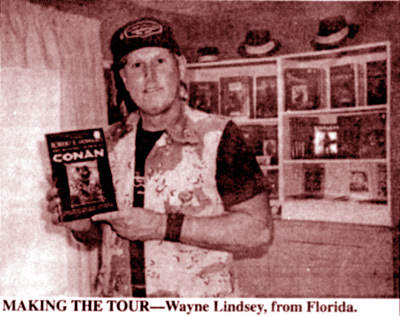 Wayne Lindsey has been a member of Project Pride for two years and was finally able to take the time away from his job of moving alligators for the Florida Parks and Wildlife to pursue his other dream of walking where his favorite author walked. Project Pride received a delightful letter of appreciation for the hospitality extended to visitors, the Greens, from England. In summarizing their extended visit to the U.S., they commented that the three favorite places they had visited were the Grand Canyon, Green Mesa and Cross Plains. And they just couldn’t decide on their top choice!! Life at the Howard House Museum stays interesting, to say the least.